Today, businesses thrive with effective online marketing strategy. In a world where all businesses have online market presence, having an effectual online marketing strategy is a critical aspect. Measuring the effectiveness of your marketing strategy is as important as applying it and it requires understanding and knowledge of the various methods and terms used by marketers these days. The Click-Through Rate, or more commonly known as CTR, is one of the important online marketing measures; so, let’s understand what it is, why is it important, how to calculate it, and of course, how to effectively use this metric. 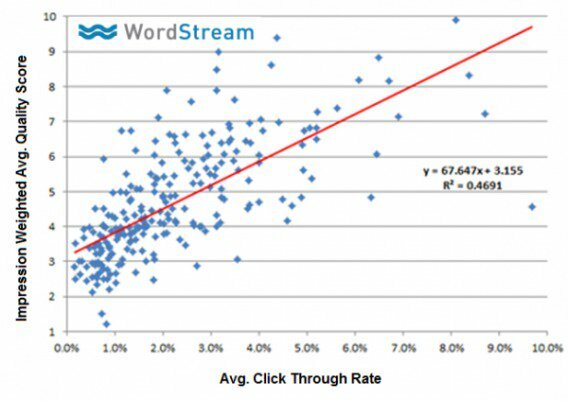 Essentially, your click-through rate gives you the percentage of people who click on your advert after seeing it. If you divide the total number of people who click after seeing your advert by the number of times your ad is shown, and then take that amount and multiply it by 100 you get a percentage, and that is the CTR for you. [(Total clicks) ÷ (Total Impressions)] *100 = CTR. The Click Through Rate would be 10%. Click-through-rate is a measurement generally used by ad platforms to determine the quality of the displayed advertisement. But you can use the same metric for email marketing campaign as well; the only difference will be instead of an advertisement, it may be the percentage of times an email recipient clicks on one or more links in an email to be taken to the sender’s website or other destination. [(Total number of links clicked in that email) ÷ (Total number of views on an email)] *100 = CTR. The Click Through Rate for search ads in AdWords across all industries averages at 1.91%, display ads – at 0.35%. The average CTR of Facebook ads is 0.119%. How to make your Click Through Rate more effective? The Click Through Rate can be made more useful and be improved with the techniques that help in refining the presentation of your ad elements like title, subject lines, quality of content, images, descriptions, and keywords. To accomplish the best outcomes out of your Click Through Rate, you need to inspect each element independently and try to use industry best practices as much as you can, to elevate the bar. Let’s say, create the headlines and descriptions with impactful and actionable words, such as ‘high-class’, ‘discover’, or ‘lifetime opportunity’, to create buzz and attract people into clicking through to your landing page. To upsurge your email Click Through Rate, avoid using general sayings like ‘click here’ as it does not create an impression to the subscriber what is there for him on the other side of the click. Use engaging and captivating images and videos to boost your ad or email marketing. You need the right mix of messaging and creativity tailored to your specific audience to get high clicks and the keywords they can search for your products or services. Use industry standard techniques like how to advertise on Google AdWords and Facebook and form your online strategy to get more targeted traffic. Click-through-rate is a very simple concept that has broad reaching use cases and implications in your overall digital marketing initiatives, as it’s an important metric to measure and optimize. Improving your Click Through Rate has a long list of beautiful benefits. Just keep testing all stages of your marketing campaigns — from the right keywords choice to the copy, images used, placement of CTAs, and keep optimizing every single part of it to improve your CTR.